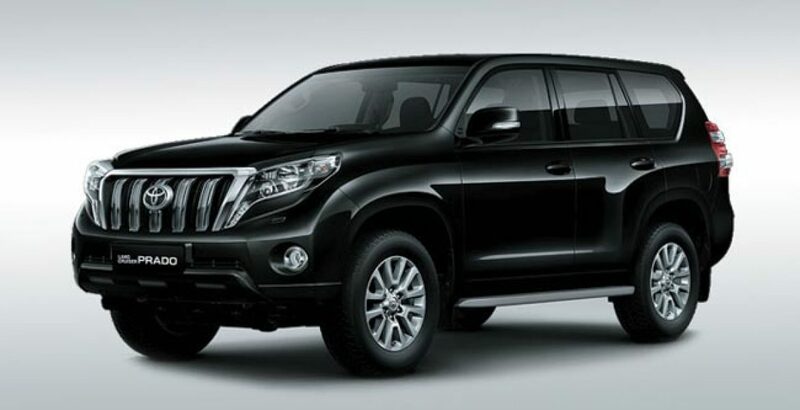 Over three times as powerful as Toyota Corolla (one of the bestselling compact sedans in the world), the Toyota Land Cruiser Prado can rightly be considered as one of the mighty road conquerors in the world. In the all-new 2018 model, the engine displacement measures more than 3,900 cubic centimeter – capable enough to generate whopping 200 kW of force. It is to render an electrifying driving experience even on the toughest terrains. It runs on the 24-valve DOHC engine powered by the latest VVT-i technology. The mighty all-terrain road beast Prado is capable of running on all types of road conditions, ranging from smooth intercity highways to the most uneven mountainous paths. Corresponding to its power, there are more efficient controls and strong braking system to prevent the car from going out of control. It means, you can confidently go uphill or drive downhill without losing control. Moreover, while running at very fast speed, you can bring it to a stop in a few moments. 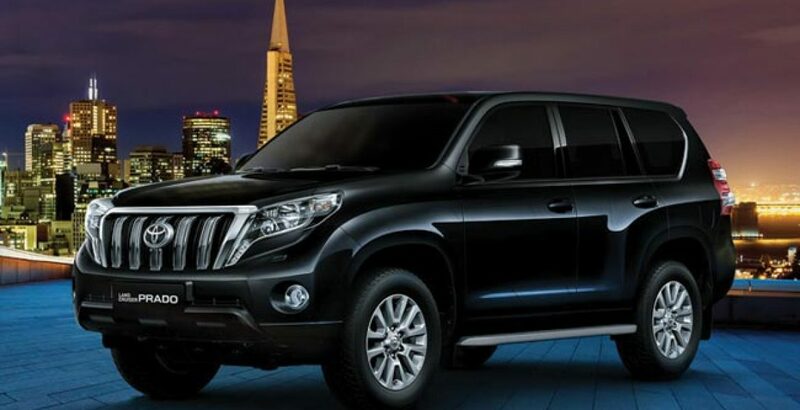 Concerned by the Toyota Land Cruiser Prado 2018 price in Pakistan? Your concern is genuine. You can have an idea about the price of this mighty all-terrain beast from the facts that it costs as much as the collective price of more than seven high-end and tech-rich Toyota Corolla cars. Yes, if you change your decision in favor of Corolla, you can get at least seven 1.3 GLI automatic sedans. While incredibly bold and brave from outside, the Prado is amazingly fantastic from inside. It has an exquisitely furnished, spacious interior. 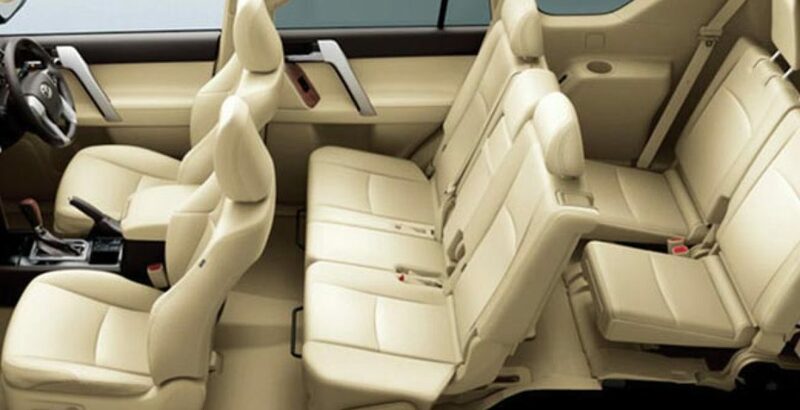 As many as seven individuals with passion for a thrilling driving experience can enjoy a luxurious ride in it. The extraordinary performance of the car shows that it is meant especially for the adventure lovers. However, you can also use it for a memorable family ride. 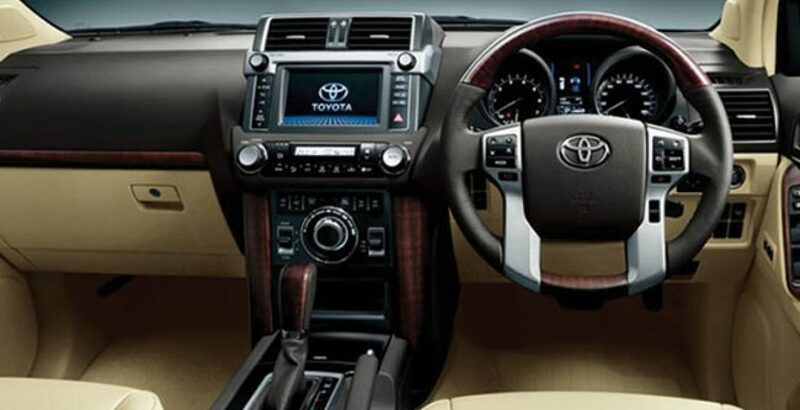 The tech-rich interior offers a wide range of class-leading features including, but not limited to, smart entry system, touch-screen audio display, console box cooling, parking assist system, 3 zone climate control technology and an innovative steering wheel design that also supports switches for Bluetooth, MID and audio control. Here the powerful 3 zone climate control system offers strong resistance against the outside weather, while providing the passengers with perfect environment precisely corresponding to their taste and needs.